Philips announced two professional displays with HDR support at IFA earlier this month. The new 328P6AU and 328P6VU monitors offer QHD and UHD 4K resolutions respectively, while both monitors feature wide color gamuts (which means higher-than-sRGB) as well as USB Type-C inputs, in accordance with recent market trends. The monitors will be aimed at the high end of the market, but are not going to to be too expensive. 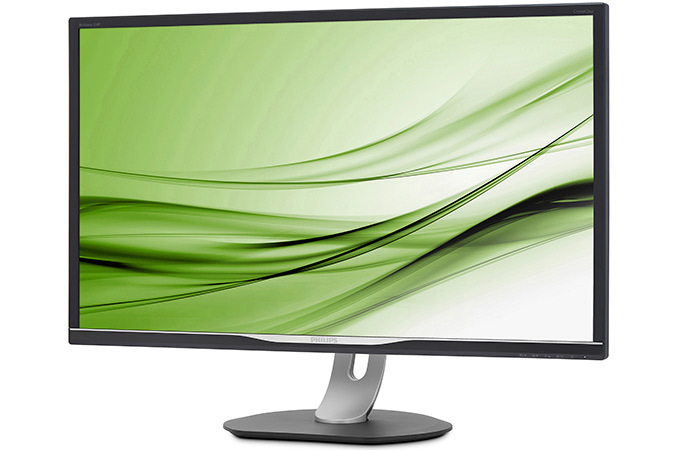 The first of the new P-series displays to arrive is the Philips 328P6AU (pictured). 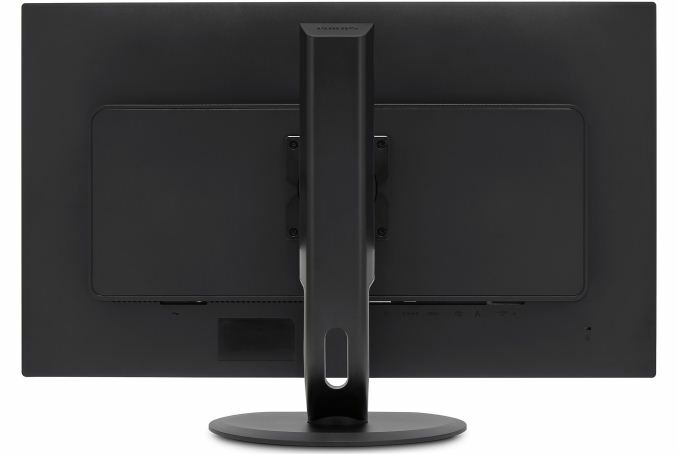 The monitor is based on an IPS-ADS panel with a 2560×1440 resolution and can hit 400 nits in brightness. Philips says that the 328P6AU display can reproduce 98% of the AdobeRGB color gamut (and therefore it is safe to say that it can cover 100% of the sRGB), but it does not reveal anything beyond that. The firm also is not disclosing the refresh rate of the panel, but given how the monitor is being positioned, it is likely that it is set at 60 Hz. Since the 328P6AU is a professional display, its stand can set the monitor in portrait mode and allows all kinds of other adjustments (height, rotate, tilt). The second P-series LCD that Philips is working on is called the 328P6VU, and this one is substantially more advanced. 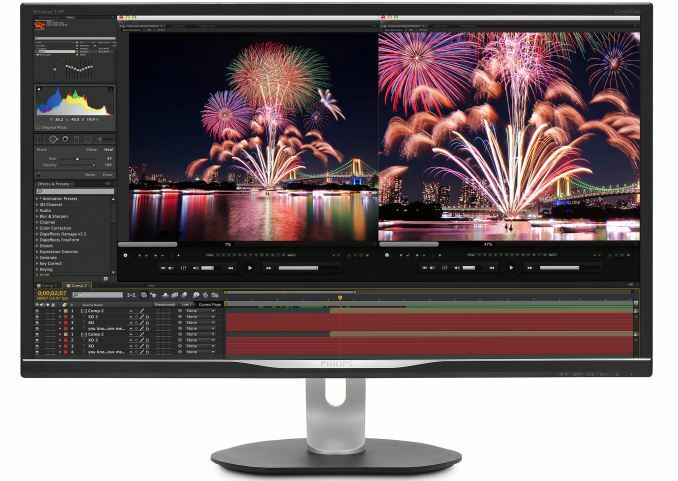 The monitor is based on an IPS-AAS panel featuring a 3840×2160 resolution and can hit 600 nits in brightness, which is considerably higher compared to numerous contemporary displays for professionals. Furthermore, the 328P6VU is equipped with a backlighting supporting 16-zone local dimming, so expect a fairly high contrast ratio. As for color gamut, Philips only mentions 95% of NTSC, but nothing else. Again, the company isn't publishing anything about the refresh rate of the LCD, but 60 Hz is a reasonable guess. When it comes to connectivity, the 328P6AU and 328P6VU both have the same functionality. Both monitors include DisplayPort, HDMI, and D-Sub (VGA) inputs (this one seems a bit odd on a 4K model, but could be useful for PiP) as well as a USB-C port. The latter can be used as a display input as well as an upstream port for a hub featuring USB 3.0 ports and a GbE connector. Such a hub will be very useful for those with notebooks featuring USB-C and lacking other connectors (e.g. MacBooks). Finally, the monitors will have two 3 W stereo speakers. As for pricing and availability, the Philips 328P6AU is set to hit the market next month with a price to be announced. I don't expect this one to be all that expensive, but its price is not going to be a bargain given that it's aimed at professionals. Meanwhile the Philips 328P6VU is set to arrive sometimes in Q1 2018 and the manufacturer plans to sell it for approximately €529 – €549 in Europe ($632 – $655), which is surprisingly competitive for a 4K display with a USB-C input, a USB hub, and a Gigabit Ethernet port.